omission of insignificant causes and factors. In order to determine more precisely factors and causes which affect the most greatly on the result, it is recommended to use the brainstorming method. As you can see, construction of Ishikawa diagrams is quite complicated process and has a number of features, but the ConceptDraw DIAGRAM and ConceptDraw MindMap applications will help you to deal it quickly and effortlessly. Fishbone Diagrams solution included to ConceptDraw Solution Park contains powerful drawing tools and a lot of examples, samples and templates. Each Fishbone diagram example is carefully thought-out by experts and is perfect source of inspiration for you. 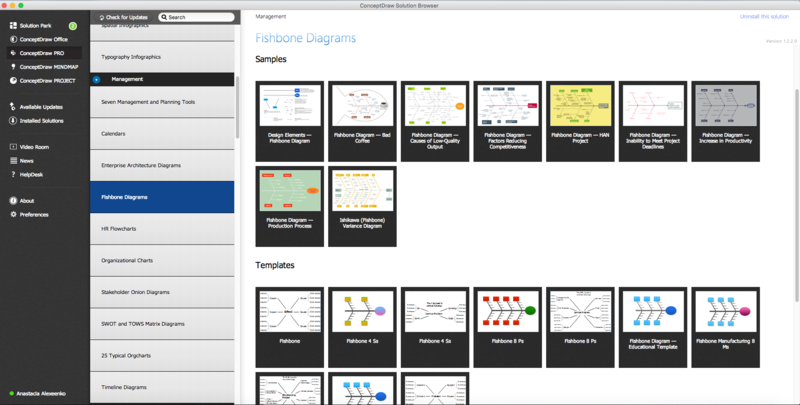 All predesigned templates and samples of Fishbone Diagrams Solution are available from ConceptDraw STORE which is the best for easy navigation through a ConceptDraw Solution Park. Starting with one of templates you can also use the predesigned vector objects from the Fishbone diagrams library to expand and refine your diagram. 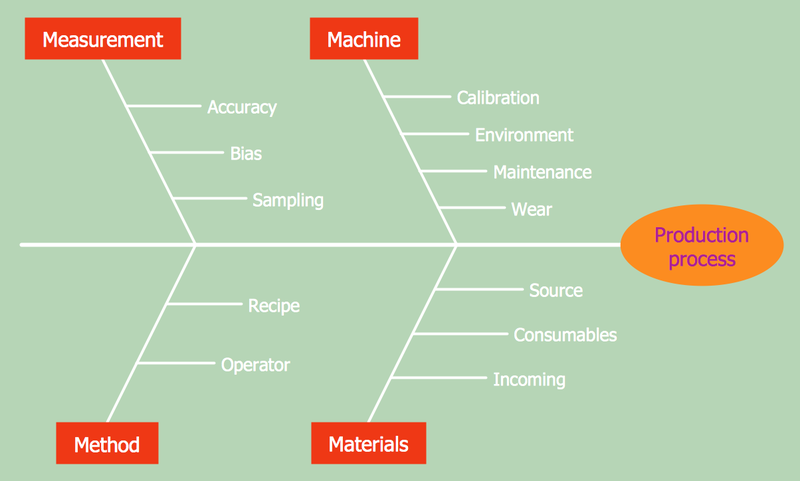 Use of these objects will allow you easy construct any Fishbone diagram example you want. The Fishbone diagram example you see on this page was created in ConceptDraw DIAGRAM using the tools of the Fishbone Diagrams Solution. It depicts the possible causes and factors for a production process, and relationships among these factors. An experienced user spent 5 minutes creating this sample. 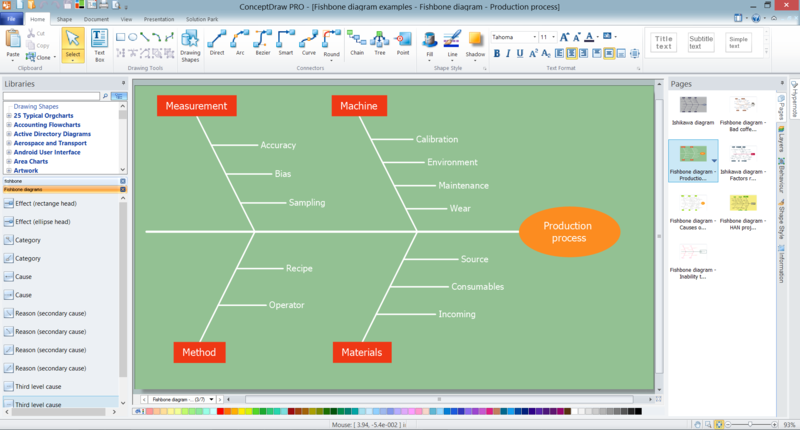 Use the Fishbone Diagrams Solution for ConceptDraw DIAGRAM Solution Park for fast, easy and effective cause and effect analysis.